Are you after an authentic, relaxed ceremony? 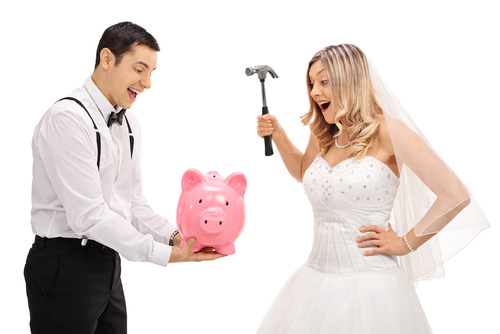 Just because you’re holding your wedding on a budget doesn’t mean it’ll be a cheap wedding. If you’re clever, innovative, and open-minded, then you’ll soon discover that cutting down the cost of your wedding won’t diminish the whole wedding experience for you and your guests. While it may be great to include everyone you know on your special day, that isn’t always a brilliant idea, especially if you’re on a budget. Each additional guest you put in your list will add to your cost so you’ll have to be particular this time on who you truly want to invite. Besides, fewer guests you have, the more intimate your wedding will as it will only be witnessed by the people you hold dear. If you’re born in a multi-talented family, or maybe your groom is, then take advantage of this opportunity. For instance, if you have a family member, a close friend, or relative who is excellent at taking pictures and is willing to be your photographer as his/her wedding gift to you, then all the better. Asking your loved ones to offer help or service in lieu of a gift is another excellent way to reduce your expenses. Making your own invitations is entirely possible with a quality home printer. You can look for a simple blank invitation kit and then print a classic font and a simple text on it. Since you will be cutting the number of guests, you won’t have to create that many invitations. You can also order stylish and affordable wedding invitations online if you want them ready-made. Flowers are expensive as hell so instead of spending loads of money on flowers that will die shortly after, keep your floral usage to a minimum. For instance, you can assign one rose for each bridesmaid and a small yet beautiful bouquet for yourself as the bride. Sometimes less can be more elegant. If you want a designer wedding dress, you can get them on a less costly price from consignment sales or resale websites. In fact, there are lots of once-worn designer wedding gowns with half off the price on several pre-loved dress sites. Top top it off, why not hire a professional celebrant to make your day extra special by contacting Jay today! © Noosa Style Ceremonies 2019.